Joep, nearly 10 years old, still active in agility! With 2 dogs in 2 different rings is not easy, it can happen you have to start together with your 2 dogs at the same time...you have to make a choice which dog! 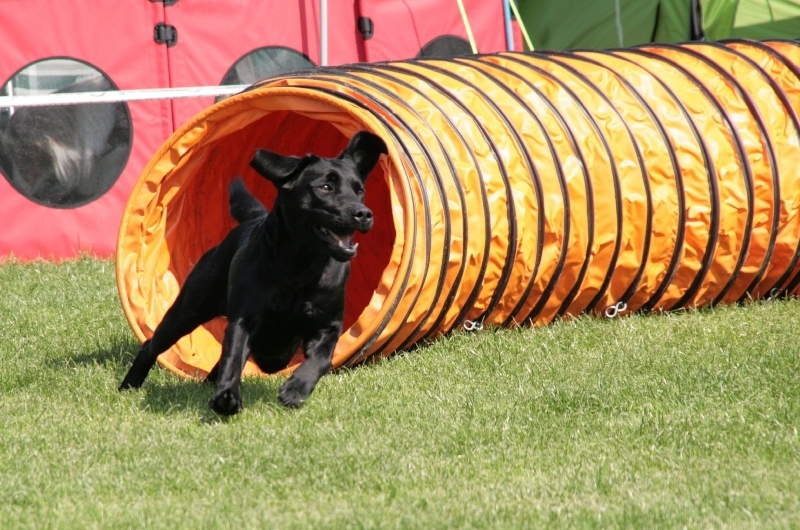 Joy had to run courses of Jan Langius, on the Agility-course just one fault, sadly because we run into the SCT! Very bad weather, rain and thunderstorm so the match was many times stoped! But the end of the day the sun was shining, so we could keep home dry our tent! Our time was within SCT....so a loud oooooohhhhhhhhhhh of all the other competitors! Even Joep was running today, he was very enthousiast. The Agility-course he just make a mistake on the second jump....I make the choice to start afresh and this had given a clear round. Jumping also DK and the Game-course was at the same time I was running with Joy in the other course. 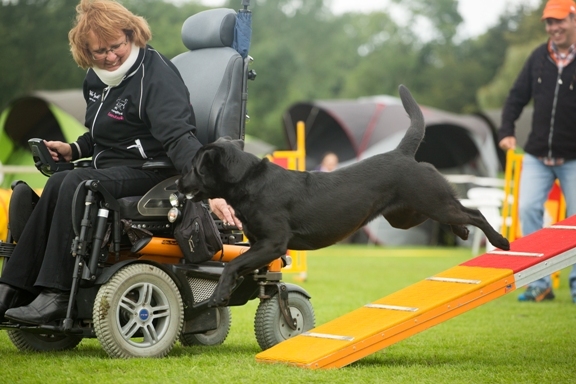 On the agility-course one fault and later a refusal....it was not possible to do it agin with my wheelchair....so an DK. On the Jumping a nice clear round, but not enough time...SCT was 34 seconds and we need 39....so not an "excellent". A day with raining but also the sun was shining....a nice day with Joy. An agilitymatch in Hilversum, not far of our home, just 30 minutes to drive! Only the A-classe for Joy......so to try to get the last "excellent" we need. On the Jumping not an "exellent" because one fault ;-( .......but enough time, our time 41 seconds and the SCT was 48. Also an 6th place of the 25 competitors. 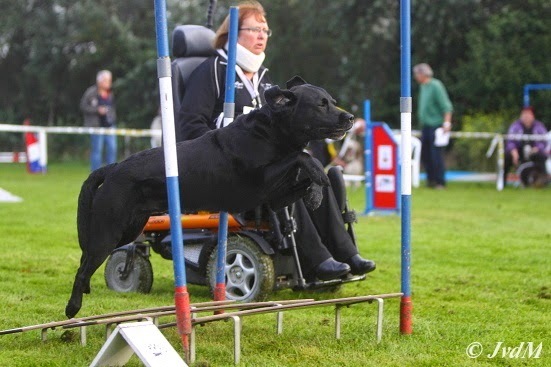 On the Agility-course 10th place and on the Game-course an refusal, but a nice round! Early in the morning we drive to Sport Park the Boskamp in Nieuwolda, just a little more to drive of Groningen..so a long journey! 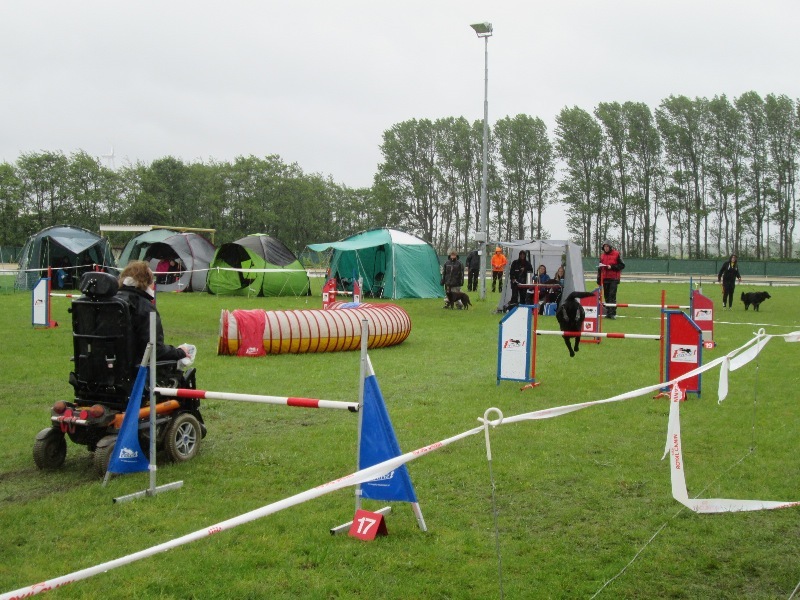 For the first time they had organised the Dutch Championship Para- Agility, total from the Netherlands 18 taking part dogs of competitors ParAgility World Cup (PAWC). 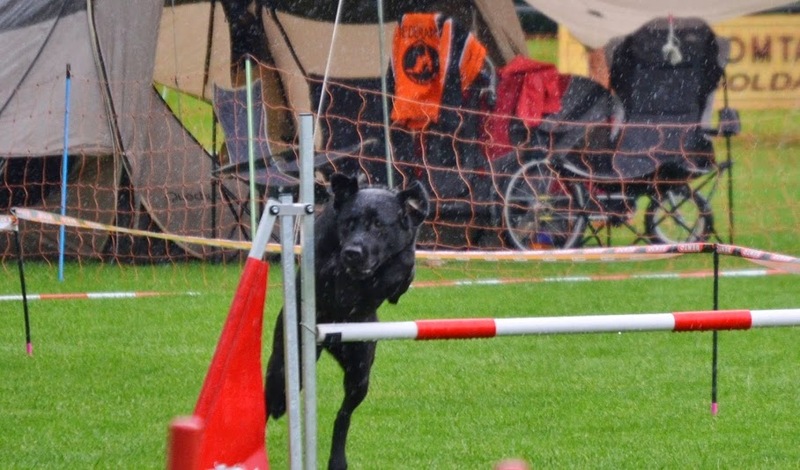 I had entried Joep and Joy and Joep had run a nice clear run on the Jumping and even on the Agility Course! 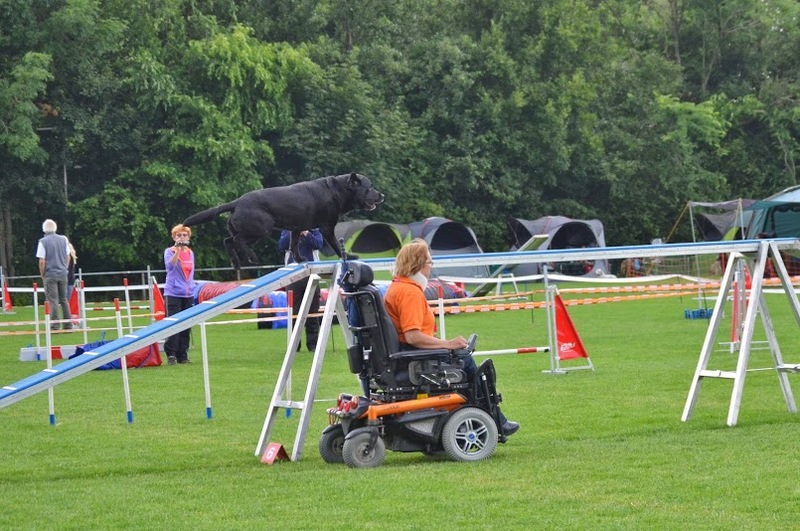 This had given him the titel: Dutch Champion Para-Agility group 1 !! 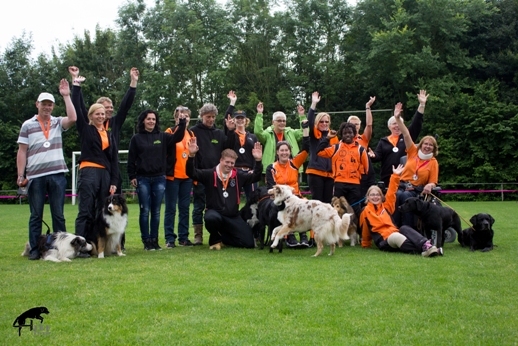 A very nice day, met some new competitors PAWC for the Netherlands! Just go on to the PAWC in Italy!! 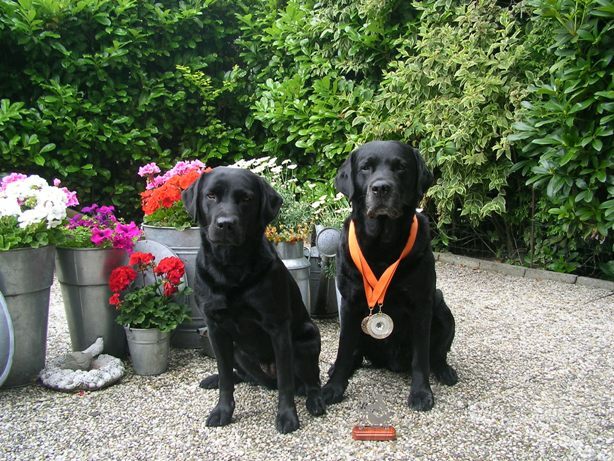 Joep with 2 nice medals and a cup for Dutch Champion Para-Agility! And YES.....on the Agility-Course Joy had run a clear run and became her 2th "excellend"...so just one to go and we can take part into the second level! Joep was running on the Jumping a nice clear run! What a very bad weather, but just drive to Spaarndam. Jacky Duncan of South Africa was being our guest and like to visit a Dutch Agilitymatch, she's also a judge in her Country. The 3th part of the match was canceled, because the grassfield was not passable anymore, sure not for me driving an electric wheelchair! 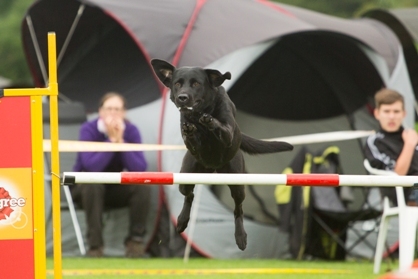 Joy had run a disqualification on the agility-course but a nice run on the jumping. Joy nice working forwards....go to the finish! An evening-agilitymatch for the A-Classe so entry for Joy. Our first agilitymatch after my hospital-visit last year!